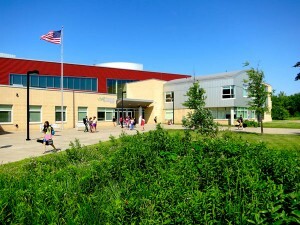 WOODBURY, Minn. (July 16, 2013) — Crosswinds Art & Science Magnet School, grades 6 – 10, will remain open for the 2013-14 school year under a management agreement with Perpich Center for Arts Education, a state agency. Crosswinds, a free, public middle school, will maintain its current focus in arts and science, its IB program, year-round schedule and strong commitment to integration. Parents and students from any district may choose to enroll for fall term. Free transportation is provided to the campus in Woodbury for students who reside in 10 east-metro integration area districts: Stillwater, St. Paul, Forest Lake, South Washington County, Inver Grove Heights, White Bear Lake, South St. Paul, Spring Lake Park, Roseville Area Schools and West St. Paul. In addition students from North St. Paul-Maplewood-Oakdale district who currently attend Crosswinds will receive free transportation. “Perpich will be a strong leader for Crosswinds as both programs have similar approaches to education and learning environments,” said principal Bryan Bass in a letter to current Crosswinds parents. “Returning students will see little difference . Enrollment for the coming year at Crosswinds will remain open throughout the summer. The school is fully integrated and provides a strong arts program including visual arts, an award-winning orchestra, concert band, musical theater and after-school programming. 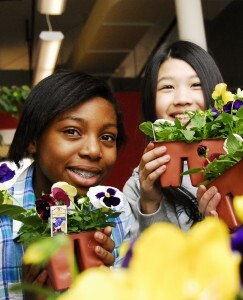 It also features an accredited International Baccalaureate Middle-Years program. The Crosswinds award-winning building was designed to foster an interdisciplinary learning environment with a focus on the arts. The management agreement was approved July 10 by the East Metro Integration District school board that has managed Crosswinds since its establishment and the Perpich Center for Arts Education board of directors on July 12. Perpich intends to seek approval from the legislature this fall to govern the school long term. Perpich currently operates a residential arts high school for grades 11 and 12 in Golden Valley that enrolls students from throughout the state, a state arts library and professional development programs for all K-12 teachers and districts in Minnesota. For more information on Crosswinds enrollment, please go to the enrollment page on the Crosswinds website www.emid6067.net/crosswinds/ or contact Torria Randall at 651-379-2603. As you could know by now, there are about a million cidrao programs, fitness plans, diet plan plans, weight loss programs, video programs promising quickly fat loss but still, obesity is really a wellness issue in our society. It doesn’t take a brain surging to figure out that there’s more to it than just jumping up and down 10 minutes a day, shaping your body takes sweat and agony witch is one of the parts of weight lifting that we bodybuilders fairly enjoy, it is an adrenaline rush. Kind of makes us really feel like real men.